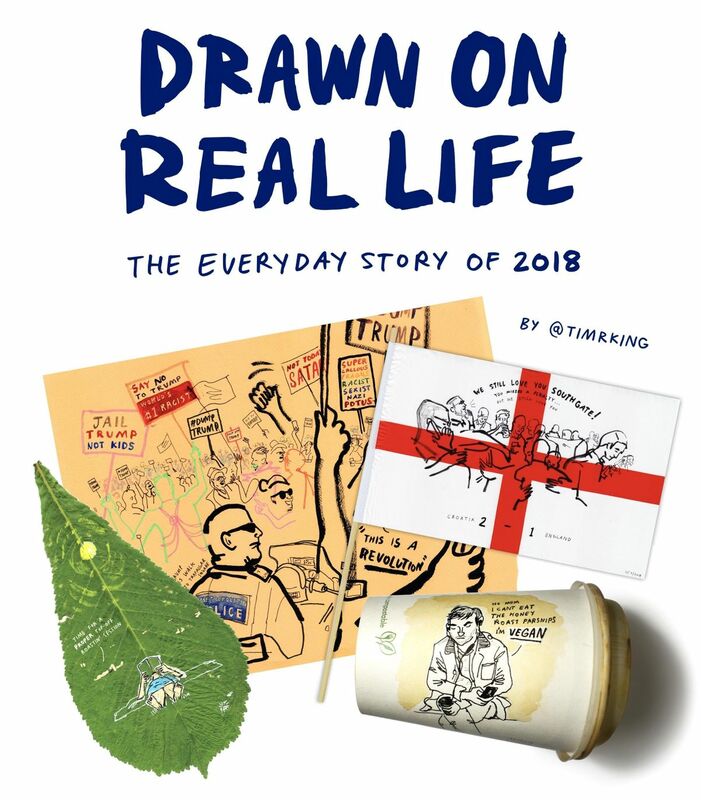 Deptford does Art presents ‘Drawn on Real Life’, an exhibition of reportage drawing from Tim King’s 365-day project. Many would describe 2018 as a year of extremes. 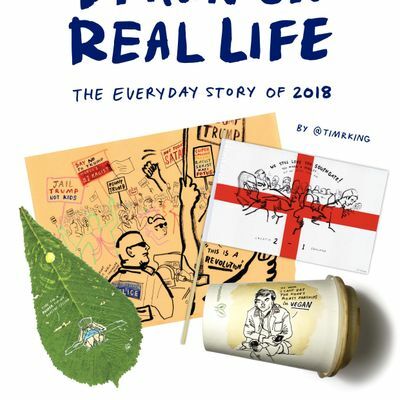 We had the beast from the east, the hottest summer in decades, surprise world cup success, soaring crime rates, rising homelessness, personal data breaches and major moments in politics. But, what did 2018 feel like on an everyday level? Tim King’s daily drawings show us how. Each day, Tim made time to observe, experience and draw everyday situations on the spot, from the mundane to the magnificent. Using reportage illustration, Tim captured the attitudes, opinions and atmosphere of daily life. Drawn using a variety of materials ranging from scraps of paper to leaves and sea shells, what these images have in common is the ability to communicate personal stories. By doing one drawing a day, a year long visual narrative is created. ‘Drawn On Real Life’ recalls not how history remembers last year, but how we lived it. This is the everyday story of 2018.